See BUBBLES’ Close-Up with Mike Randall on WKBW-TV! This little pig is looking to go all the way home! See here. THANK YOU, SPCA FRIENDS AND FAMILY, FOR AN AMAZING YEAR! The SPCA staff and volunteers take a moment in this emotional video to thank our supporters for an incredibly successful Radiothon, helping us start 2019 on the right paw! Watch Now! Register Children for the First School Break Camps of the Year in January and February. Learn More. SPCA Domestic Rat Rescue Social Media Engagement Sets SPCA Record. Support of rat rescue reaches national level, making this one of the SPCA’s top rescue posts of 2018. Learn More. Buffalo Common Council Passes Law Protecting Dogs in Extreme Weather Conditions. Learn More. SPCA Officers Involved in Ongoing Domestic Rat Rescue in Hamburg. More than 40 domestic rats have been abandoned and cannot survive our winter months. Learn More. Buffalo Sabre Linus Ullmark Drafts His First ULLMARK’S BARKS pick: CHYNA DOLL! Learn More. 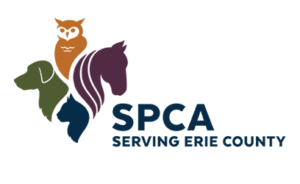 THE SPCA RADIOTHON IS ON THE AIR!